As a marketer who communicates with customers via email, you regularly send commercial messages to your opt-in list of subscribers. 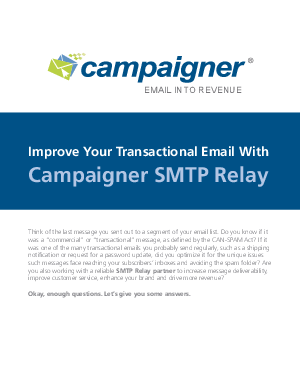 But you almost certainly send at least as many messages to that same list that are "transactional." This three-step process will help you build an effective revenue-generating strategy from your transactional emails. Learn how to identify and review your full library of standardized transactional messages and then analyze your data to gain insights into which promotions will most resonate with each transactional message you send.